Archibald McIndoe was born 4 May 1900 in Dunedin, New Zealand, into a family of four. His father was John McIndoe, a printer and his mother was the artist Mabel McIndoe née Hill he had three brothers and one sister. McIndoe studied at Otago Boys' High School and later medicine at the University of Otago. After his graduation he became a house surgeon at Waikato Hospital. In 1924 McIndoe was awarded the first New Zealand Fellowship at the Mayo Clinic in the United States to study pathological anatomy. The fellowship was for an unmarried doctor and as McIndoe had recently married Adonia Aitkin they had to keep their marriage secret and he sailed without her. When it was no longer possible to maintain the secret she joined him 12 months later. He worked in the clinic as First Assistant in Pathological Anatomy 1925–1927 and published several papers on chronic liver disease. Impressed with his skill, Lord Moynihan suggested a career in Britain, and in 1930 McIndoe moved to London. 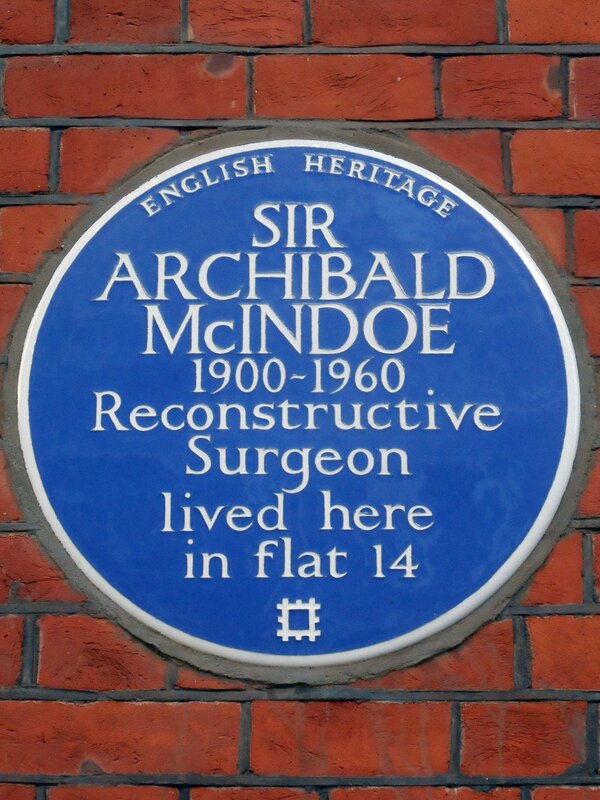 When McIndoe could not find work, his cousin Sir Harold Gillies, an otolaryngologist specialising in plastic surgery (who now has an operation for reducing a broken cheekbone named after himself), invited him to join the private practice he ran with Rainsford Mowlem and offered him a job at St Bartholomew's Hospital, where he became a clinical assistant. In 1932 McIndoe received a permanent appointment as a General Surgeon and Lecturer at the Hospital for Tropical Diseases and the London School of Hygiene and Tropical Medicine. In 1934, McIndoe received a Fellowship of the American College of Surgeons, where he worked until 1939. That year he became a consulting plastic surgeon to the Royal North Stafford Infirmary and to Croydon General Hospital. In 1938 he was appointed consultant in plastic surgery to the Royal Air Force. On 22 March 1961, the British Minister of Health opened the Blond McIndoe Centre named in his honour at the Queen Victoria Hospital, East Grinstead. The Blond McIndoe Centre, now named the Blond McIndoe Research Foundation, continues research into pioneering treatments to improve wound healing. The Blond McIndoe Research Foundation is a registered charity which recently celebrated its 50th Anniversary. The McIndoe Burns Centre at his former base, Queen Victoria Hospital, East Grinstead, was dedicated in 1994, and there is a burns victim support group centred there which also bears his name. 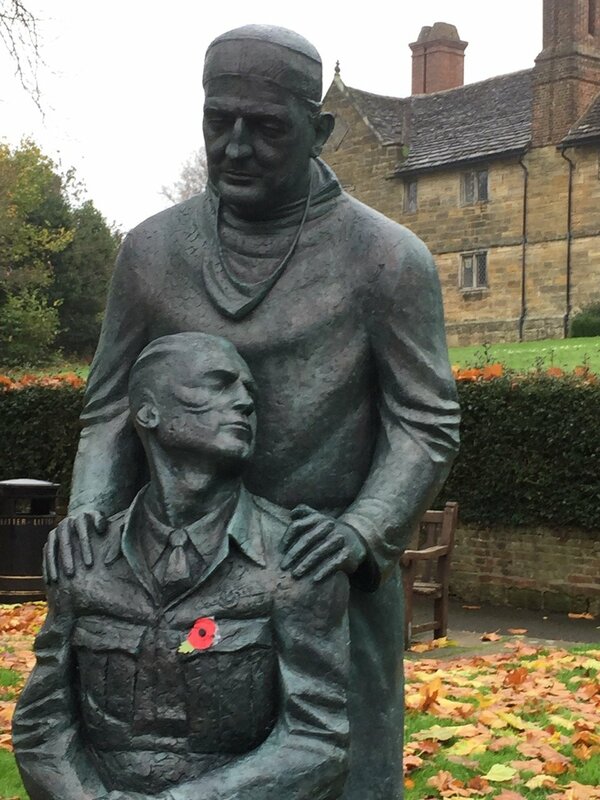 A bronze monument in his honour by Martin Jennings, whose father was one of McIndoe's patients, has been created in East Grinstead High Street. It depicts a seated airman, his burned hands clawed together, his scarred face turned to one side. 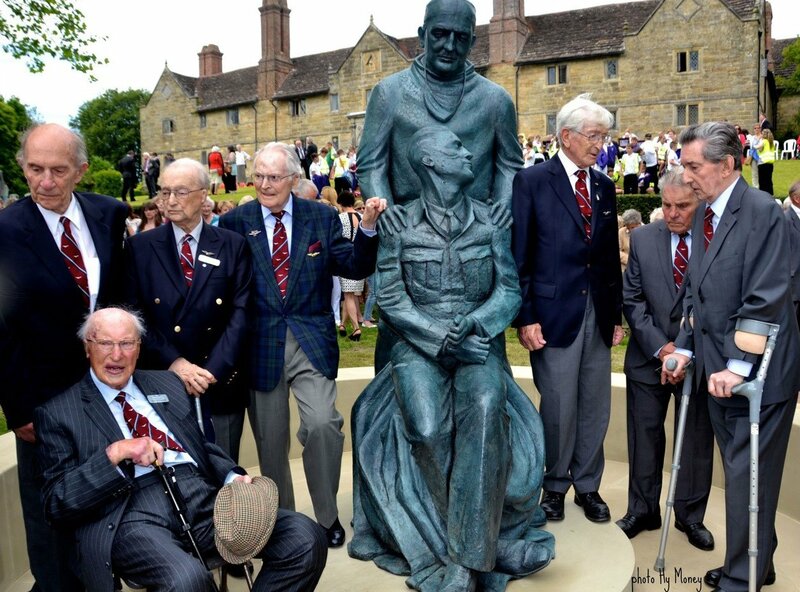 Standing behind him, resting a reassuring hand on each shoulder, is the figure of McIndoe. They are framed by a stone bench. Specialist science laboratories at Otago Boys' High School, built in 1967, are named in his honour. The Gillies McIndoe Research Institute, a major medical research centre in Wellington, New Zealand, is named in honour of McIndoe and his cousin Sir Harold Gillies. The project was originally conceived by the East Grinstead Business Association (EGBA) and brought to fruition by a Steering Committee chaired by Stuart Scholes (CEO of the EGBA), Julie Holden (East Grinstead Town Clerk), Jacquie Pinney (CEO of the Blond McIndoe Research Foundation), Adonia Montford Bebb (daughter of Sir Archibald McIndoe) and Jane Woodman (volunteer to the project). The whole project was made possible by Dave Brown of Dormans Park (Chairman of DUARIS Ltd) whose financial support enabled each stage to be completed on schedule. Thanks to Cowen Architects, to Duaris Ltd for contributing all the groundwork necessary to install the statue and to sculptor Martin Jennings, whose creativity and drive were crucial. Major donors to the project include Queen Victoria Hospital, the McIndoe Surgical Centre and over 350 individuals and local companies. The widespread support for the Memorial was shown.